Bedroom Furniture is On Sale Now! 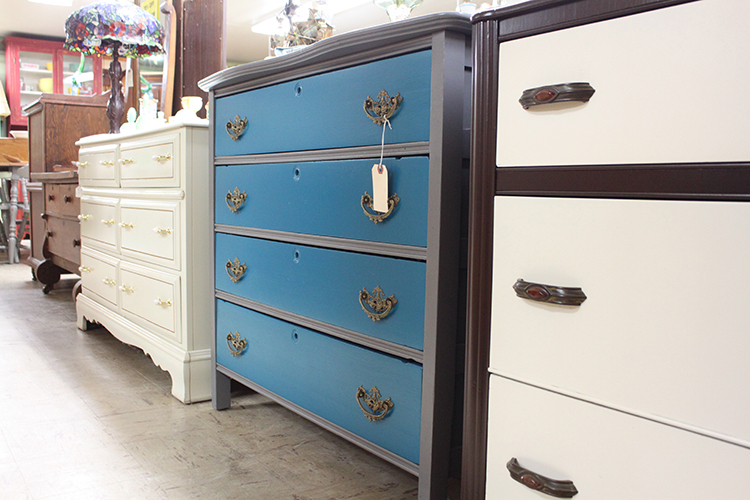 Past and Present Home Gallery has bedroom furniture on sale now! Save up to 25% off on select chests of drawers, vanities, and bedroom armoires. While you're here, check out all of the new items in the Man Cave and Diva Den! Can't wait to see you at Past and Present Home Gallery, the antique store with character! 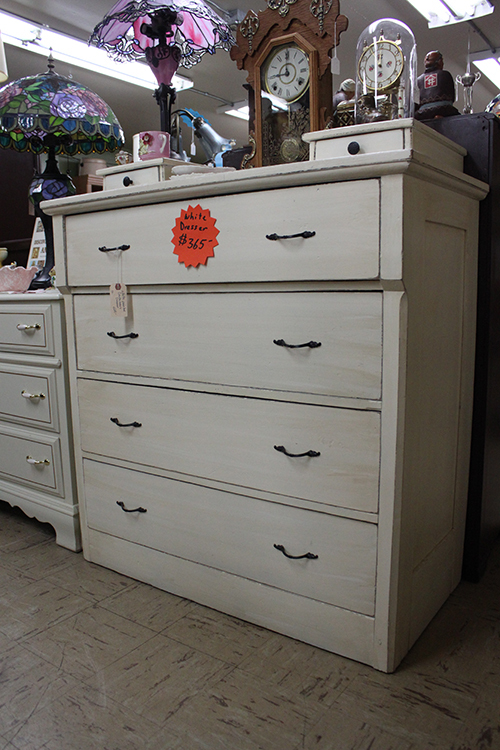 Antique and Vintage Dressers on Sale! 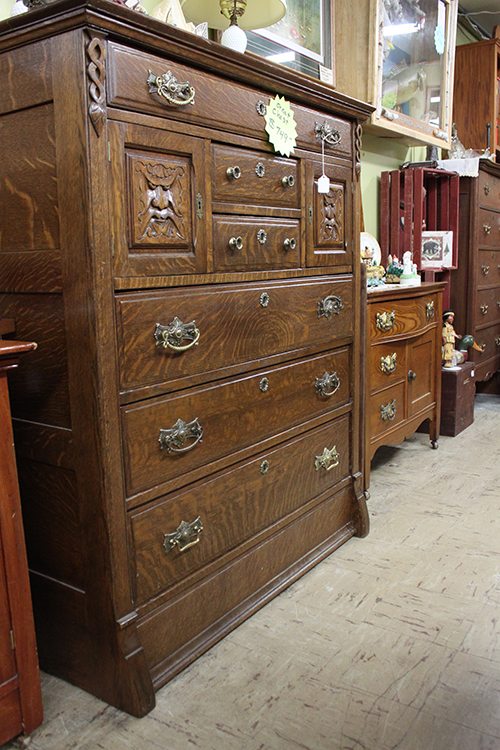 Get organized in the New Year with a "new" dresser from Past and Present Home Gallery. Select antique and vintage dressers are on sale now! Choose from original wood grain or a painted finish. 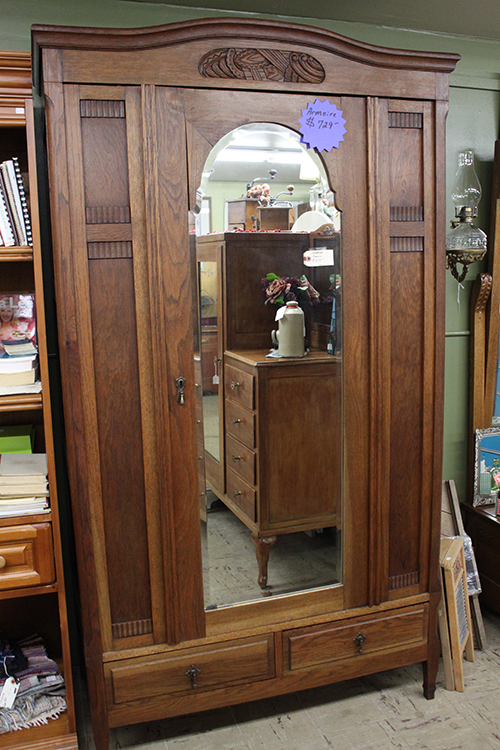 We also have select wardrobes and armoires on sale, too! Happy New Year from Past and Present Home Gallery, the antique store with character! Find Great Vintage Deals During the Fall Table Sale! The Fall Table Sale continues at Past and Present Home Gallery! We have a great selection of vintage dining tables and antique dining sets on sale up to 40% off—just in time for the holiday season! Show off with this beautiful, vintage, walnut dining set. The table starts at 5 feet long to fit perfectly in your space, but can extend to a full 6 feet for when your friends and family come over. Set includes 6 chairs; one is a captain’s. Have more space to fill? 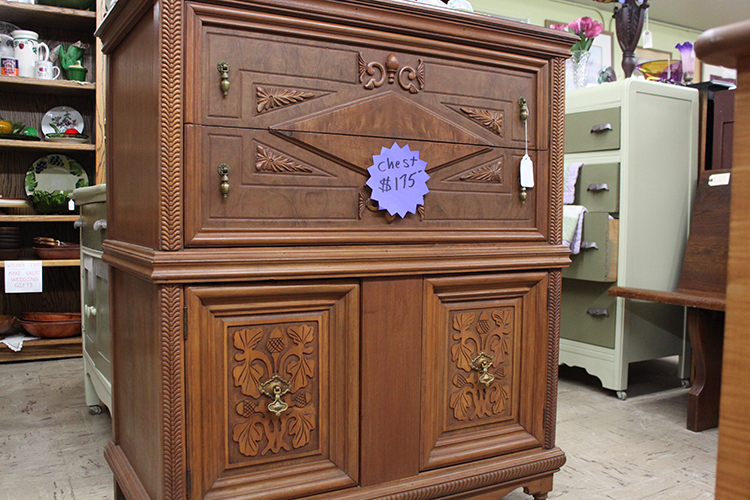 We have the matching serving buffet and hutch! This retro, drop leaf table can fold up small (only 27 inches wide!) or extend to almost 7 feet when you need the extra elbow room. The unique base extends as the table extends so you don’t have to worry about any shaky or unstable drop leafs crashing down on you and your guests. The set includes four padded chairs. Baking cookies and rolling out pies is what this vintage table was made for. This uniquely shaped table is 60 inches long and 42 inches wide when both sides are up. It is perfect for preparing those traditional family meals—and did we mention cookies? The set includes 4 painted chairs. Come and check out these deals while they last at Past and Present Home Gallery, the antique store with character!